I like how Polish design team Kaniewski HauteDesign break the mould in roadside design with this quasi-futuristic look for Orlen Polsce Meeting Point Stop Cafe. PKN Orlen currently operates hundreds of coffee bars and bistros at petrol stations in Poland, Lithuania and the Czech Republic but this is a first of its kind concept designed to attract business professionals in the Gdańsk catchment area. 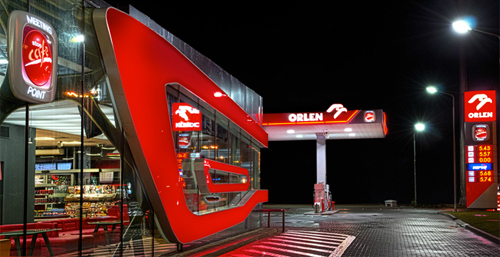 The bright red neon sign, a reference to a car's headlights works particularly well in associating the chain with Orlen's logo and complementing the fuel retailer's brand identity. Stop Café Meeting Point takes inspiration from the automotive sector, in particular from car showroom design. Trendy and upmarket, its design helps position Orlen as a premium retailer. 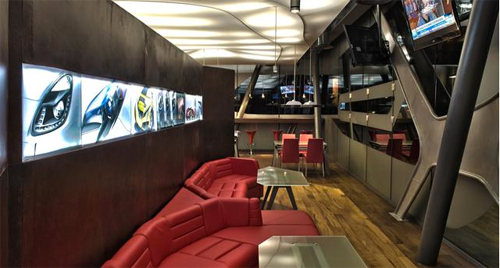 The interior architecture is a blend of executive car showroom, Formula 1 sports and private club/bar aesthetics. Red leather couches and carbon-fibre patterned structures used in Formula 1 help to associate Orlen with high performance motor racing and ultra-modern engineering.  Some of the internal structural forms you see reference the curvilinear shapes found on the brandmark and lend coherence to the overall design, thus creating powerful synergies for the brand.